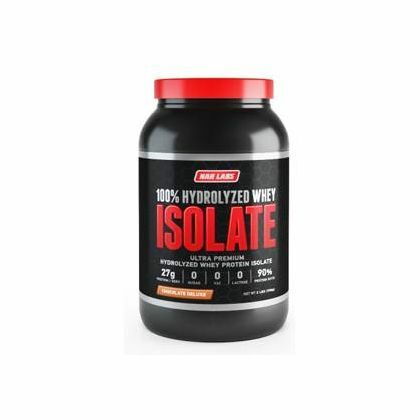 MUSCLE ISOLATE is a fast and furious hydrolyzed whey protein isolate formula enhanced with powerful aminos to help you build lean muscle, speed up muscle recovery, help inhibit catabolism and promote fat loss. Made with 100% hydrolyzed whey protein only – NO caseins, whey isolates, whey concentrates, soy, or plant proteins. Fast absorbing protein without the need for further breakdown to reach rapid and complete absorption. 100% Hydrolyzed Whey Protein Isolates, Micronized Amino Blend (Free Form Amino Acids, Amino Peptides, Branched Chain Amino Acids, L-Glutamine, Glutamine Peptides), Stevia, Natural Flavors. 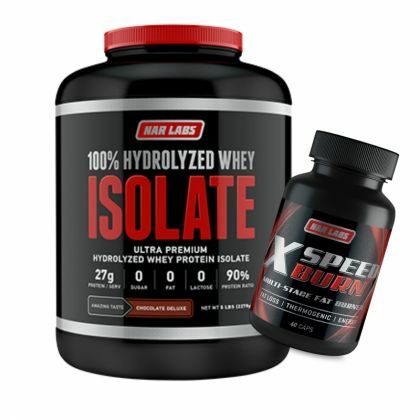 NAR Labs Hydrolyzed Whey Isolate 5LB + FREE Narlabs Xspeed Burn 60cp!